Mohammad completes his PhD thesis on “Molecular and Stochastic Biophysical Modeling of mRNA Export and Quality Control”. Congratulations, Dr. Soheilypour!. Sungmin receives a post-doctoral fellowship from the Nurturing Next Generation Researchers program by National Research Foundation of Korea (NRF Korea). Congratulations, Dr. Park! Atsushi receives a JASSO graduate scholarship from Japan’s Ministry of Education, Culture, Sports, Science and Technology (Monbukagakusho). Congratulations, Atsushi! Zeinab completes her PhD thesis on “Cellular and Molecular Responses to Mechanical Cues: From the Extracellular Matrix to the Nucleus”. Congratulations, Dr. Jahed!. Hengameh and Zeinab present their work at the 2018 World Congress of Biomechanics in Dublin, Ireland. Ehsan presents his work at the 2018 meeting of International Society for Computational Biology (ISMB2018). Zeinab Jahed and Mohammad Soheilypour win AS&T recognition for their PhD work. Zeinab received the AS&T Excellence in Research (ASTER) Award and Mohammad received AS&T Summer Stipend (ASTSS) Award. Congratulations, Mohammad and Zeinab! Ruhollah completes his PhD thesis on “Computational Biophysical Modeling of the Nuclear Pore Complex”. Congratulations, Dr. Moussavi-Baygi!. Mofrad is named a JSPS Fellow. He receives an Invitational Fellowship from Japan Society for Promotion of Science (JSPS) to initiate a collaborative research with colleagues at Kyoto University. Hengameh, Ruhollah, Zainab and Zeinab present their research at the BPS 2018 meeting in San Francisco, CA. Hengameh, Mohaddeseh, Ruhollah, Zainab and Zeinab present their research at the Join ASCB-EMBO 2017 meeting in Philadelphia, PA. Lab alum Heather Bowerman, Founder and CEO of Dot Laboratories, is selected among 100 Most Intriguing Entrepreneurs at 2017 Builders + Innovators Summit. DotLab Honored by Goldman Sachs for Entrepreneurship. Congratulations, Heather! Darya, Hengameh, Mohaddeseh, Mohammad, Zainab and Zeinab present their research at the 2017 BMES meeting in Phoenix, AZ, and visit the Grand Canyon on their way back! Hengameh presents her work at the 2017 Northern California Computational Biology symposium held at UC Santa Cruz. <href=”http: biomechanics.berkeley.edu=”” wp-content=”” uploads=”” 2017=”” 08=”” bj_kink_highlight.png”=””> </href=”http:> Biophysical Journal highlights Hengameh’s new paper on discovering the molecular mechanism behind the distinct “cooperative” vs. “competitive” behavior of alpha-actinin and talin in their relation with, and activation of, different integrins. The key is in the “kink”! Read more here: α-Actinin Induces a Kink in the Transmembrane Domain of β3-Integrin and Impairs Activation via Talin. Chris concluded his summer research fellowship in our lab by presenting his work at the Summer Research Institute Fellowship Poster Session. We truly enjoyed hosting high school teacher, Mr. Christopher Tolentino, during the past summer as part of the IgnitEd (Inspiring the Next Generation of Innovation). Ignited is a transforming program that connects scientists and STEM teachers and “focuses on teachers as change agents who ignite creativity in the classroom and in the field”. Besides completing an education transfer plan (ETP), Chris worked closely with Zeinab Jahed and contributed significantly to our study of force transmission through the LINC complex and provided us with invaluable insights into his teaching methodologies. We wish Chris the best of luck as he returns to his classroom, and continues to inspire students to become the next generation of innovators. Sam presented his research at the Summer Research Institute Fellowship Poster Session. Our lab hosted Sam Kim as a part of the Berkeley Engineering Research Experiences for Teachers (BERET) program, which “provides teachers and teachers-to-be with summer research fellowships and guides them to develop and teach lessons that connect engineering and computational research to K-12 science and mathematics curricula in the classroom”. In addition to developing these lessons, Sam worked closely with Zeinab Jahed on a the LINC complex project and predicted the large-scale motions of LINC complex proteins through computational models and helped us analyze tens of Gigabytes of data. We wish him the best of luck in his final year of undergraduate studies. Lab alum Amir Arzani joins the faculty of Northern Arizona University in Flagstaff, AZ as assistant professor of Mechanical Engineering. Congratulations and best wishes, Prof. Arzani! Ehsan presents his research at the 2017 Conference of International Society for Computational Biology, jointly held with the 25th Conference on Intelligent Systems for Molecular Biology and 16th European Conference on Computational Biology (ISMB/ECCB 2017) in Prague. Zeinab presented a talk on her work on “force transmission across the nuclear envelope” at the “Cellular Biophysics Symposium: Experiment meets Theory!” conference held here at UC Berkeley. Amir presented his work on “multiscale systems biology models of calcific aortic valve disease progression” at the SB3C conference in Tucson, AZ. On March 8, we celebrated the International Women’s Day with a trip to the ice cream shop! Special guest Rihana celebrated her first Women’s Day with us! Hengameh, Mohaddeseh and Mohammad presented their research at the 61st Biophysical Society Annual Meeting in New Orleons, LA. Zeinab’s paper on “Bacterial Networks on Hydrophobic Micropillars” makes the cover of ACS Nano. Congratulations, Zeinab! Hengameh wins the Berkeley Postdoctoral Association Professional Development Award. Congratulations, Hengameh! Mofrad joins the Editorial Board of “Scientific Reports”, a multidisciplinary, open access journal from the publishers of Nature. Hengameh, Mohaddeseh, Mohammad, Ruhollah, Zainab and Zeinab presented their work at the 2016 ASCB Meeting in San Francisco! Mohammad Soheilypour’s research on mRNA Export is highlighted by LBNL Newscenter! Hengameh and Zeinab are selected to participate in AIMBE’s Policy Institute for Grad Students & PostDocs. The aim of this program is to provide a learning opportunity for rising leaders to engage with biotech industry leaders and broaden their perspective on the public policies shaping medical innovation. Congratulations, Hengameh and Zeinab! Zeinab presented a talk on “Molecular Mechanisms of Mechanotransduction through LINC Complexes” at the Mechanobiology of Disease thematic meeting in Singapore. Lab alum Heather Bowerman, the Founder and CEO of Dot Laboratories, is selected among the distinguished MIT Technology Review 35 Innovators Under 35 for 2016. Congratulations, Heather! Zeinab Jahed is awarded a 2016-2017 Cancer Research Coordinating Committee (CRCC) Fellowship for her work on “Differential Collective and Single Behaviors of Brain Cancer Cells on Silicon Micropillar Arrays”. Congratulations, Zeinab! Mohammad Soheilypour is awarded the 2016-2017 SF Bay Water Quality Fellowship for his work on “Multiscale Modeling of Pollutant Bioaccumulation in the SF Bay Biota” Congratulations, Mohammad!. Ruhollah participated in the Rally for Medical Research on Capitol Hill. This event, advocating for funding for the NIH, was organized by the American Association of Cancer Research (AACR) with Biophysical Society as a sponsor (Photo: Ruhollah with Representative Grace Napolitano of California). Ehsan presents his paper on Continuous Distributed Representation of Biological Sequences for Deep Proteomics and Deep Genomics at the Intelligent Systems for Molecular Biology (ISMB), Orlando, FL. Hengameh completes her PhD thesis on “Molecular Mechanisms of Mechanosensitivity in Focal Adhesions”. Congratulations, Dr. Shams!. Ehsan’s paper on Word Embedding Language Divergence method receives a best paper award sponsored by Google at the workshop on multilingual and cross-lingual methods in natural language processing at NAACL-HLT 2016, San Diego, CA. Congratulations, Ehsan! Ehsan presents his work on Phenotypical Classification of Microbial Communities at the ASM-Microbe conference, Boston, MA. Ehsan’s paper on Word Vectors of Biological Sequences and Their Applications in Bioinformatics is selected among the best submissions at the Computational Biology Workshop at International Machine Learning Conference (ICML) and receives Google Award. Ehsan also receives ICML student travel grant, New York, NY. Congratulations, Ehsan! Zeinab’s scanning electron microscope (SEM) micrograph of bacterial networking wins the Biophysical Society’s Arts of Science Image Contest! Judging was based on scientific significance, originality, and artistic and/or visual impact of the images. Congratulations, Zeinab! Hengameh, Mohaddeseh, Mohammad, Ruhollah, Zainab, and Zeinab presented their research at the 60th Biophysical Society Annual Meeting in Los Angeles, CA. Zeinab Jahed receives a Biophysical Society Education Committee Travel Award for her project “MOLECULAR MECHANISMS OF MECHANOTRANSDUCTION THROUGH LINC COMPLEXES”, which she will present at the Biophysical Society’s 60th Annual Meeting to be held February 27-March 2, 2016 in Los Angeles, CA. Congratulations, Zeinab! Hengameh receives a Biophysical Society CID Travel Award for her project “MOLECULAR MECHANISM OF α-ACTININ BINDING TO F-ACTIN: EFFECT OF K255E MUTATION”, which she will present at the Biophysical Society’s 60th Annual Meeting to be held February 27-March 2, 2016 in Los Angeles, CA. Congratulations, Hengameh! Hengameh, Zeinab, Mohaddeseh, and Mohammad presented their research at the 2015 ASCB Annual Meeting in San Diego, CA. Mohaddeseh Peyro and Mohammad Soheilypour’s research on Nucleocytoplasmic Transport is highlighted by LBNL Newscenter! Lab alum Anwaar Al-Zireeni, CEO and Co-founder of diagnostics startup Privail, wins award at the 2015 Open Hands Initiative, dedicated to improving people-to-people understanding around the world. Congratulations, Anwaar! Lab Alum Anwaar Al-Zireeni, co-founder and CEO of the diagnostics startup Privail, is honored by President Obama, who hosted the first-ever White House Demo Day focused on inclusive entrepreneurship, welcoming startup founders from diverse walks of life and from across the country to showcase their innovations. Privail is commercializing low-cost, early HIV detection technology. which is a portable, easy to use testing device that can directly detect HIV virus in the bloodstream faster than antibody or antigen based tests, and for a fraction of the cost of traditional RNA detection techniques. Hengameh wins a 2015-2016 UC Dissertation-Year Fellowship, awarded to graduate students “who demonstrate outstanding potential in research in order to prepare them to take faculty positions and help disadvantaged segments of society in their future career”. Congratulations, Hengameh! It was great to have Abigail in the lab this past summer as part of the CalTeach program. During her time in the lab, Abby worked closely with Hengameh and did an extensive literature survey on carbohydrate-binding modules (CBM) and their role in increasing carbohydrate-active enzyme efficiency, central to cellulose-based biofuel production. Abby conducted molecular modeling and bioinformatics analysis on different CBM families. She will extend her stay in the lab for one additional year as an undergraduate research intern to complete the project. Lab alum Kranthi Mandadapu joins the UC Berkeley faculty as assistant professor of Chemical and Biomolecular Engineering. Congratulations and best wishes, Prof. Mandadapu! Lab alum Anwaar Al-Zireeni, CEO and Co-founder of diagnostics startup Privail, wins award at the Vator Splash 2015. Vator Splash is “a premier enterpreneurship conference, and one of the best startup competitions and educational events, attracting super smart thought leaders in the tech industry”. Mohammad Mofrad is elected Fellow of the American Institute for Medical and Biological Engineering (AIMBE). Clustering and Activation Mechanisms”. Congratulations, Dr. Mehrbod!. It was a great pleasure to host Carole Lazarus during the past few months, visiting us from Ecole Polytechnique (https://www.polytechnique.edu/en), as part of her undergraduate thesis. Carole worked closely with Mohammad and Mohaddeseh on computational modeling of axonal microtubule bundles. Using a coarse-grained computational model, Carole characterized the mechanical behavior of microtubule bundles under pure torsion as well as a combination of torsional and tensile loads. While traumatic brain injury (TBI) is a major public health issue worldwide, the underlying mechanisms of axonal failure in TBI are still unknown. Carole’s paper on “Torsional Behavior of Axonal Microtubule Bundles” will appear in the Biophysical Journal in 2015. It was a great pleasure to have Briana Lynn Lee, a junior undergraduate student at UCSD in Applied Mathematics, visit our lab during this past summer. Briana’s internship was sponsored through the Calteach/BERET program aimed at providing “current and future science teachers with hands-on research experience”. Briana worked closely with Mohaddeseh and Mohammad on bioinformatic studies of the nuclear pore complex proteins (FG Nups). Their work will be published in Nature’s journal Scientific Reports. 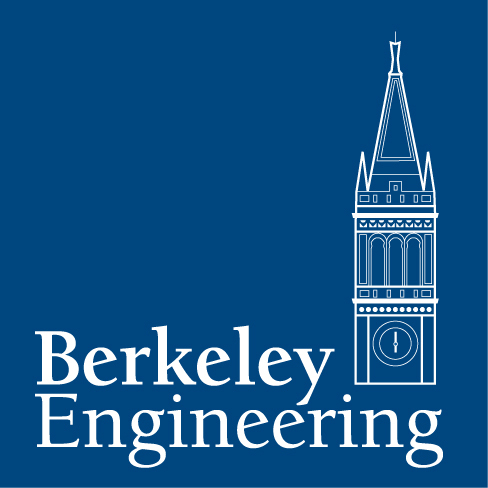 Kiavash and Mohaddeseh receive the Berkeley Graduate Fellowship. Congratulations, Kiavash and Mohaddeseh! Zeinab Jahed’s research on Staphylococcus Cells’s Adhesion to Nanostructures is highlighted by LBNL Newscenter! Lab members trick Mohammad and pull off a surprise party to celebrate his promotion to full professor, as he walks into the lab (in his sports clothing) to join them for a lab group hike… Enormous thanks to all current and former lab members, students, postdocs, mentors, colleagues, and collaborators for all your contributions over the years! Mohammad Azimi completes his PhD thesis on “Reaction-Diffusion Agent Based Models of Nucleocytoplasmic Transport”. Congratulations, Dr. Azimi!. Mehrdad Mehrbod named 2013-2014 Siebel Scholar. Congratulations, Mehrdad! Mofrad is promoted to Professor of Mechanical Engineering and Bioengineering, effective July 1, 2013. Enormous thanks to all current and former lab members, students, postdocs, colleagues, collaborators and mentors for all your contributions over the years! Lab alum Sang-Hee Yoon joins the Inha University faculty as assistant professor of Mechanical Engineering and Director of Micro/Nano Soft Biomechanics Laboratory. Congratulations and best wishes, Prof. Yoon! Zeinab Jahed wins the NSERC scholarship, Canada’s top award for graduate studies. Congratulations, Zeinab! Mehrdad’s integrin models get highlighted by LBNL NewsCenter! Mofrad named Academic Editor of PLoS One. Mofrad named to Editorial Board of IEEE Transactions of Biomedical Engineering. Lab alum Yousef Jamali joins the faculty of Tarbiat Modares University in Tehran as assistant professor of Applied Mathematics, where he will establish a BioMath Program. Congratulations and best wishes, Prof. Jamali! Lab alum Preethi Chandran joins Howard University faculty as assistant professor of Chemical Engineering. Congratulations and best wishes, Prof. Chandran! Mohammad Azimi wins the 2012-2013 Craven & Lewis Fellowship. Congratulations, Mohammad! Mofrad named a 2012 Minner Faculty Fellow on Engineering Ethics, chosen by UC Berkeley College of Engineering’s Committee on Engineering Ethics and Professional/Social Responsibility. Mofrad joins the Editorial Board of Cytotechnology. Reza Karimi defends his PhD thesis on “The Role of Hydrodynamic Interactions in the Dynamics and Viscoelasticity of Actin Networks”. Congratulations, Dr. Karimi! Lab alum Amir Shamloo joins the Sharif University of Technology faculty as assistant professor of Mechanical Engineering. Congratulations and best wishes, Prof. Shamloo! Group alum Ting Zhu joins the faculty of Tsinghua University as Associate Professor of Life Sciences. Congratulations and best wishes, Prof. Zhu! Helene Karcher, a PhD alum of the group, has won the prestigious 2011 Pierre Faurre Prize awarded by the Ecole Polytechnique Foundation. This prize acknowledges a “particularly promising career start in an industry with strong scientific and innovative components…. and the recipient should have significantly contributed to both science and its translation in industry”. Congratulations, Dr. Karcher! Javad Golji completes his PhD thesis on “Molecular Dynamic of Mechanosensing and Mechanotransduction at the Focal Adhesions”. Congratulations, Dr. Golji! Group alum Ahmad “Mo” Khalil joins Boston University faculty as assistant professor of Biomedical Engineering. Congratulations and best wishes, Prof. Khalil! Lab alum Heather Bowerman named to White House Office of Science and Technology Policy (OSTP). Congratulations, Heather! Mofrad joins the Editorial Board of ASME Journal of Biomechanical Engineering! Hengameh receives Chancellor’s Graduate Fellowship. Congratulations, Hengameh! Sang-Hee Yoon completes his PhD thesis on “Programmable Manipulation of Adherent Cell Motility Using Biological Breadboards”. Congratulations, Dr. Yoon! Javad Golji named 2010-2011 Siebel Scholar. Congratulations, Javad! Amir Shamloo receives Siebel Stem Cell Institute at UC Berkeley. Congratulations, Amir! Javad Golji and Mohammad Azimi won 1st and 2nd place awards in the PhD student paper and podium presentation competition at the 2010 ASME Summer Bioengineering Conference. Congratulations, Javad and Mohammad! Mofrad receives tenure with promotion to associate professor, effective July 1, 2010. He extends enormous thanks to all current and former lab members, students, postdocs, mentors, colleagues, and collaborators for all your contributions over the years! Mohammad Mofrad receives a 2010 National Science Foundation CAREER award for our work on “Cellular Mechanotransduction: An integrated research and education program”. Joe Leach completes his PhD thesis on “Patient-Specific Mechanical Analysis of Atherosclerotic Arteries with Resolved Pre- and Post-Rupture Intraplaque Composition”. Congratulations, Dr. Leach! He will now head to UCSF Medical School for his Medical Doctorate! Mofrad joins the Editorial Board of the Journal of Biomechanics! Group alum Ashkan Vaziri joins the faculty of Northeastern University assistant professor of Mechanical and Industrial Engineering. Meanwhile, he will maintain an Adjunct Scholar position with our laboratory. Congratulations and best wishes, Prof. Vaziri! Eli Weinberg completes his PhD thesis on “Multiscale Simulations of the Human Aortic Heart Valve: Applications in Disease and Surgery”. Congratulations, Dr. Weinberg! Seung Lee completes his PhD thesis on “Mechanotransduction by Talin: A Molecular Dynamics Study of Force-Induced Recruitment of Vinculin to a Focal Adhesion Complex”. Congratulations, Dr. Lee! Helene Karcher completes her PhD thesis on “Mechanics of Mechanotransduction”. Congratulations, Dr. Karcher! Mofrad receives a UC Regent’s Junior Faculty Fellowship! Applications are welcome for post-doctoral, graduate, and undergraduate research positions. Our lab’s multidisciplinary environment welomes diverse backgrounds ranging from bio / mechanical / chemical / civil engineering to physics/biophysics/mathematics to cell biology and biochemistry. Interested applicants are encouraged to contact Prof. Mohammad Mofrad (mofrad AT berkeley dot edu). Please email your CV along with a cover letter expressing your background and research interests. Post-doctoral applicants are strongly encouraged to explore and pursue external funding sources. © Copyright UC Regents, 2005-2013. All rights reserved.